Our organization is amongst the highly trusted supplier and exporter of premium quality array of Bone Saw Machine. These bone saw machines are used for cutting different meat bones into various parts for cooking and meat processing applications. Our bone saw machines are very safe and easy to use with its smooth and corrosion resistant structures that are very reliable and long lasting. These bone saw machines are sturdy and very efficient to use. Clients can avail from us our bone saw machines at economical prices. With firm commitment to quality, we are engrossed in offering an optimum range of Commercial Meat Mincer. The offered mincer is manufactured with the use of quality tested components and contemporary techniques as per standards. 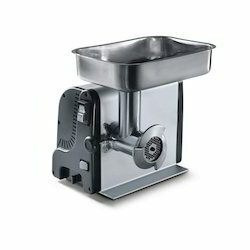 Widely used for cutting meat into small pieces for cooking purpose, this mincer is widely used in commercial kitchens. In addition to this, we put forward this meat mincer at economic prices for our clients. 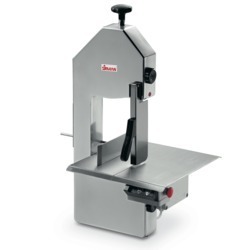 Owing to the expertise in this domain, we are offering excellent quality Commercial Meat Slicer which is strong in design. Extensively used for grinding and slicing meat, this slicer is widely demanded in hotels, restaurants and food processing industries. 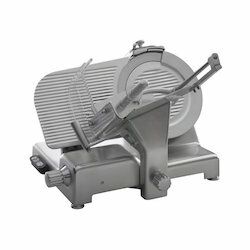 Moreover, the provided meat slicer is properly galvanized so as to prevent rusting in any of its parts and thus, is available in a range of technical specifications as per the application needs of clients.